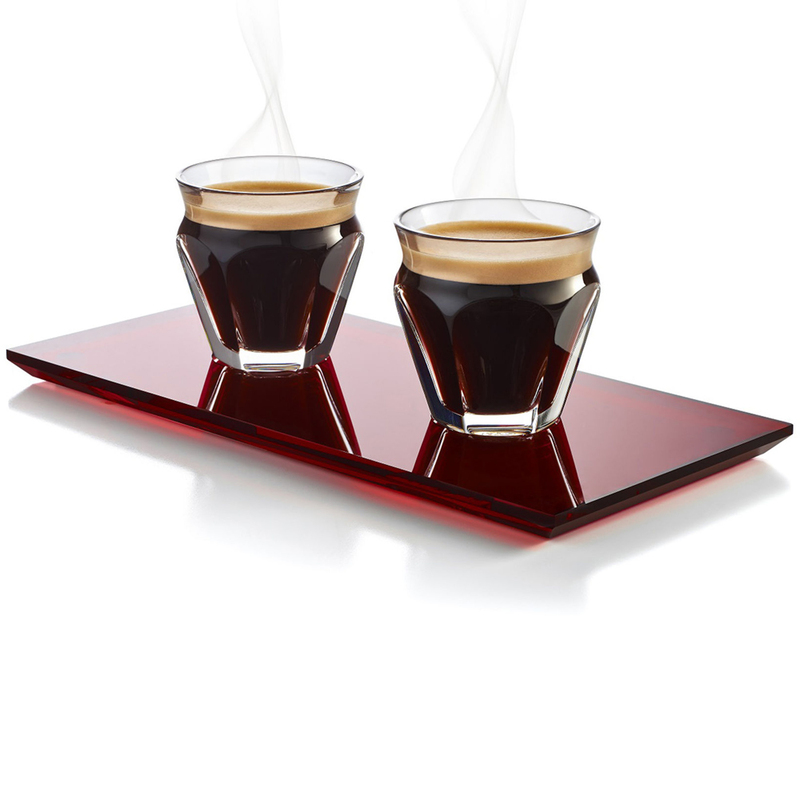 For the most refined espresso moment Baccarat proposes the finest crystal cup in the historical "king" Harcourt cut, for the chicest coffee break.The audacious mix and match of the red tray, clear crystal and the creamy black of the coffee make Café Baccarat a hedonistic experience. A gift not to be missed by your epicurean friends. The set includes two crystal glasses and a red plexiglass tray.